8 Signs Of Labor You Don't Want To Miss - Is Childbirth About To Start? Home > Childbirth Tips > 8 Signs Of Labor You Don’t Want To Miss – Is Childbirth About To Start? 8 Signs Of Labor You Don’t Want To Miss – Is Childbirth About To Start? 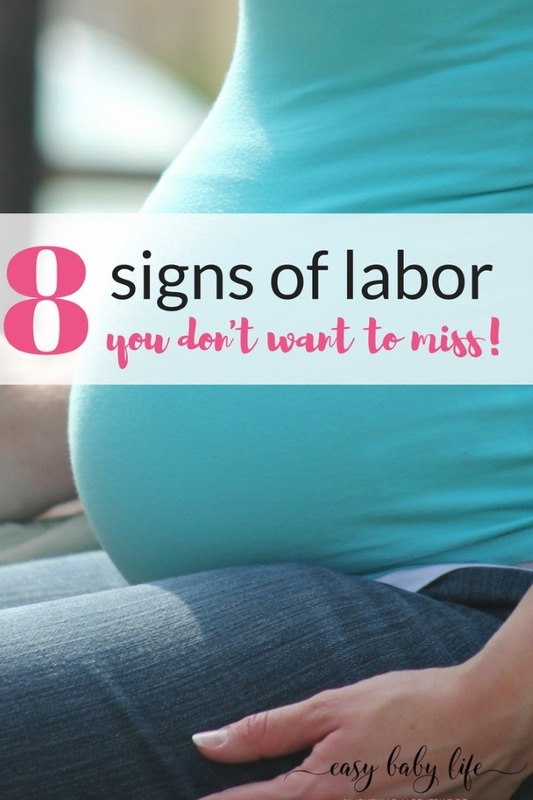 The signs of labor are exciting to look for and important to know! Since you are here, reading this post, you might actually be feeling something special and odd going on – or you are desperately hoping for some new signs that indicate that the looong waiting for your baby is soon to end. 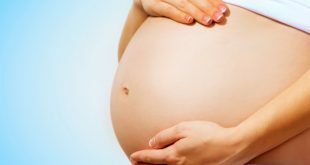 Either way, some important signs of labor and how to know if they are actually indicating that childbirth is about to start! The first time I was pregnant, I almost gave birth already in week 25 and I had to endure daily signs of labor during the rest of my pregnancy (which lasted until week 37). This was enormously stressful and very far from how I had imagined the last part of pregnancy and what it would feel like to discover the bloody show or the first contractions. My second pregnancy was more normal and, this time, I got to experience what it is like to go around and wait for childbirth to start. While I did give birth already in week 39, my OB/GYN had told me that I would most certainly give birth no later than in week 35. So according to my timeline, I was actually 4 weeks overdue in week 39. Plenty of time to read up and learn all about the latest research and know facts about signs of labor! The bloody show occurs when you lose your mucus plug. This is a thick layer of mucus that essentially seals the cervix during pregnancy. When you are getting closer to your due date, this can be one of the signs of labor. You can lose it all at once or gradually over the course of days or weeks. Once this has begun, labor can be anywhere from a few hours to a week or more away. Not all expectant moms notice when their mucus plug is lost, especially if it goes gradually. If you’re unlucky, it might also fall right into the toilet and you’ll never know that it went. Not that it really matters. Knowing that the mucus plug is gone can almost be frustrating and make you more impatient during the last week or so of your pregnancy. Lightening is when the baby drops lower into your pelvis. Eventually, his or her head will be resting right up against your cervix. This will aid the dilation process. Once the baby has ‘dropped’ you will be able to breathe much easier and your heartburn will likely diminish. You may need to urinate more frequently because of the increasing pressure on your bladder and passing stools may become more difficult. Lightening is one of the signs of labor that can occur days, or more often weeks before labor actually begins. This is particularly true for first time moms, who might experience lightening already in week 36 or so. It is quite a relief, but not a certain sign of labor. Once the bag of amniotic fluid ruptures, this is one of the surest signs of labor. When this happens spontaneously, doctors typically prefer to have the baby delivered within 24 hours to minimize any risk of infection. In many places, you will be encouraged to go into the hospital within 8 hours even if your contractions haven’t started. Ruptured membranes can present as a gush of fluid or a steady trickle. The amniotic fluid should be clear and odorless. If it is green or brown or foul smelling, go to the hospital right away. This can be a sign of infection or fetal distress. Keep in mind, though, most women do not rupture their membranes until they get to the hospital and the baby is already well on its way. Contractions are what helps your baby make his or her entrance into the world and are the most dependable of all the signs of labor. You may have been feeling Braxton Hicks contractions throughout your pregnancy so the real thing can be hard to distinguish. Real labor pains will be regular and more painful. Also, they will also not disappear just because you rest or change position. When they have been coming five minutes apart for an hour and last for at least 30 seconds each time (timing from the start of one contraction to the start of another) it is time to call the doctor and discuss when to go to the hospital to meet your new little one. The closer you get to your actual labor, the more your cervix is likely to become soft and short as your body prepares for the dilation. You should not check that yourself, though, due to the risk of infections! Your health care provider might check this effacing, however, during a vaginal exam. In addition to the effacement, your cervix may start to dilate without you even knowing. This is less common among first-time moms, but in any case, your cervix can actually be dilated up to 3 centimeters even weeks before you actually give birth. Your health care provider can tell you if any dilation has occurred. The nesting instinct is one of the most famous signs of labor. You will feel a sudden burst of energy and an urgent need to get all those unfinished projects completed. You may go on a cleaning or organizing kick. This is your body’s way of helping you be prepared when the baby comes. Just make sure that you don’t overdo it. Save some of that energy for the main event which may be just days away. Is it a certain sign of labor? Of course not. But it is a fun one when you catch yourself furiously vacuuming in the middle of the night. A wives’ tale is that your stools will be loose for a few days before giving birth, to clean out your intestines, as if it were your body’s natural enema. I don’t know if that really is the reason; it probably has something to do with your hormones. But it is quite common to experience a degree of diarrhea before labor starts (though maybe not a very certain sign of labor). So, what’s the verdict? Is labor about to start? How about to get your birthing plan completed before you are already in labor? You’ll find instructions and a free template to write your birth plan here. Labor Pain – Why Does It Hurt To Give Birth? What signs of labor have you noticed or not or have heard about? Share your thoughts below!